Another cloud floats across the horizon. Will it drift on by or cause a thunderstorm? Internet-radio isn’t new, but Mixcloud tries another approach by giving you, the user, the power to choose who or what you want to hear. DJ-mixes, radio-shows, podcasts, it’s all possible and very easy for both user and producer. “Re-think radio”, as the tagline states. The adventure starts by typing keywords in the search-bar or taking a pick from a selection on the front-page. Techno, Hip-Hop, Podcast, showcase and even talk-show, it’s all possible. A lot of well known artists are already strutting their stuff on the website along with new deejaying talent and radio hosts. Everything is linkable to your Twitter or Facebook page to keep friend, fiend and followers up-to-date with what you are listening to. But, you can also embed your favorite show or mix anywhere by means of copy/pasting some HTML code. From the producer side of things: When uploading a ‘show’ you get to set a slider (in percentage) how much music and talk is used in your episode. During the upload you can fill out some extra details like tags, the tracklist (or chapters, whatever applies to you), album-art and some extra information like a background story or a short description. when done it’s just a matter of embedding HTML code to share your latest show/mix. The only limitation is the file size as shows are not allowed to be bigger than a hundred megabyte, no matter how long it’s total playtime. This could still change as Mixcloud is still in beta-stage and my guess is that they’ll offer a paid subscription to suite your digital footprint. Soundcloud might have become the standard for sharing music in “the cloud” but Mixcloud is the perfect solution for DJ mixes, podcasts and radio-shows. Mixcloud is totally free and in that perspective beats Soundcloud which is only free up to two hours of sound, which is Soundcloud’s biggest drawback in my opinion. (I don’t intend to pay $30 a year for a little server-space.) But then again, Mixcloud and Soundcloud are two different websites. 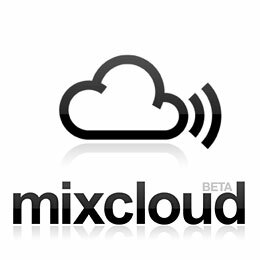 Mixcloud is NOT intended for uploading single tracks and Soundcloud was intended to host single tracks only, even though many DJ’s upload their mixes there. Below you’ll find my promotional mix KIX Arrivals. If you like what you hear you can also download it for free over at Prowess Records.